Why chemically pickle stainless steel? The corrosion resistance of stainless steel is based on the formation of a very thin chromium oxide-rich passive layer, which is formed only on metallically pure stainless steel surfaces. 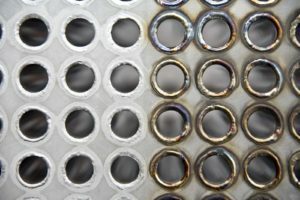 Scale layers, welding colours and tarnish, ferritic impurities (e.g. abrasion) and mechanical processing (e.g. grinding, blasting, etc.) inhibit the formation of a closed passive layer. 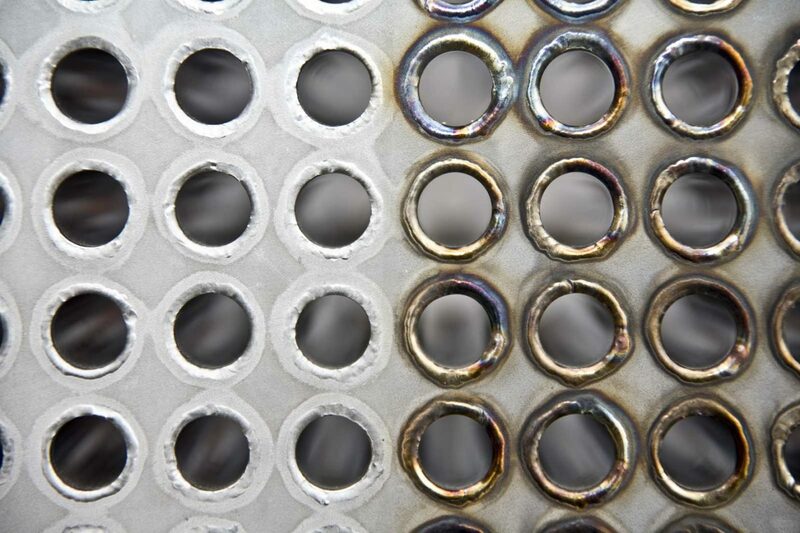 Only fully controlled pickled stainless steel surfaces and weld seams therefore guarantee full corrosion resistance of the material and offer a decorative metallic appearance. Pickling of stainless steel – how is it done? Depending on the requirements and size of the workpieces, the components to be pickled are immersed into pickling baths or the pickling medium is sprayed directly onto the metal surface and rinsed off with conditioned (demineralised) water. The chemically pickled components are then passivated and acid-free rinsed with conditioned water with limited conductivity. Even the pickling of stainless steel tube systems is no problem for us. The systems to be treated are pickled and passivated with a circulating rinse. Delivery of pickling equipment and spraying equipment for pickling.